Unless you’re a die-hard Cipher follower or merchandise collector, you might have missed the birth of the real-life “Cavalier Duo” during 2016. Perhaps better known for their roles as Sound Director and Music Composer in Fates, Hiroki Morishita (left) and Takeru Kanazaki (right) performed in a series of Fire Emblem mini-concerts during the Cipher Caravan events from June to August 2016. Around this time, the pair became known as the “Cavalier Duo” (“Social Knights” in Japan, based on the Japanese name of the Cavalier class), with Morishita being the red Cavalier and Kanazaki being the green Cavalier. 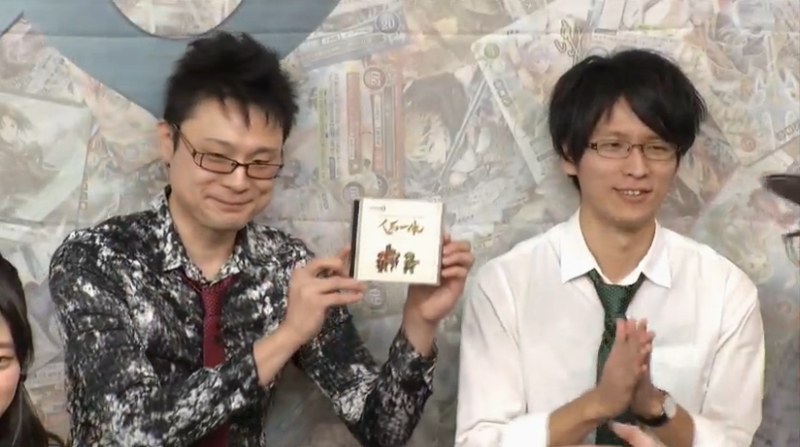 Later, during the end of 2016, the pair released a soundtrack CD containing music they performed at the Cipher Caravan event, dubbed “Sounds of Fire Emblem from Cipher Caravan – Horse and Rider as One”. 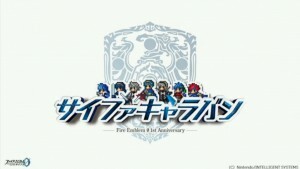 On June 25th 2016, the Fire Emblem Cipher card game will be celebrating its 1st anniversary (together with Fates). To celebrate the occasion, the Cipher Caravan will be heading to various locations in Japan from June to August. At the event, fans can expect to sample the delights of Cipher, battle other Cipher players, purchase exclusive merchandise or even listen to a “mini concert” featuring tracks from the 20th Anniversary Concert. While a list of merchandise was posted earlier on the Cipher website and these were also showcased at the Cipher Livestream Spring, this is the first time we have official pictures and prices for them. 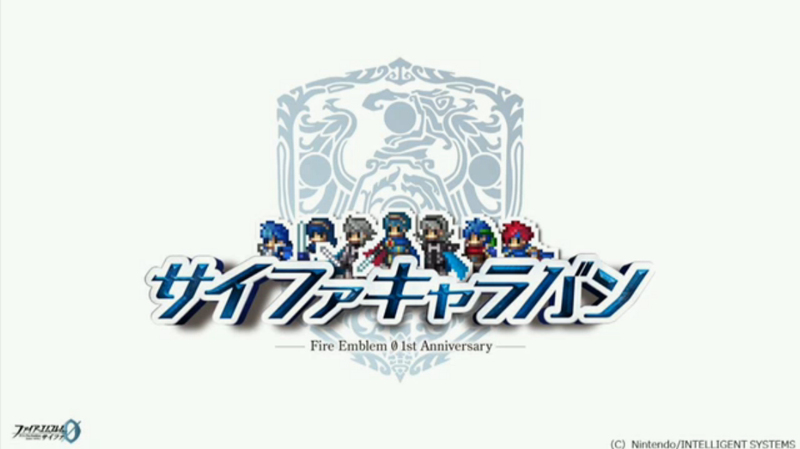 On May 22nd, the Cipher Team held the Cipher Spring Livestream on NicoNico. 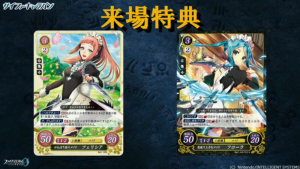 The broadcast featured news about the upcoming Cipher Caravan events, lots of new cards and artwork for the upcoming Series 5 and 6, and also a formal announcement of the games for Series 7 this winter. 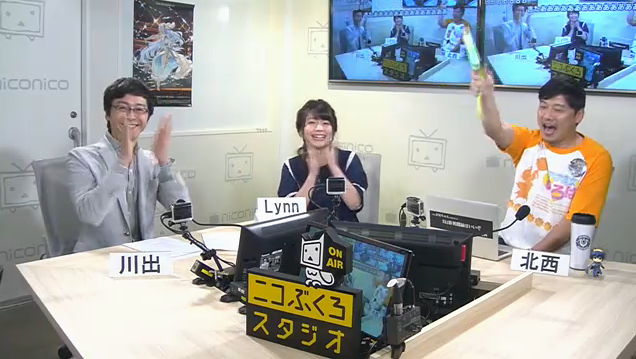 Ryota Kawade and Tsutomu Kitanishi are once again joined by Lynn, Azura’s voice actress. After introductions and some chatting, they started off the presentation by talking about the upcoming Cipher Caravan events that will be held around Japan from late-June through mid-August. New promo cards of Felicia and Flora will be available at the events, as well as an abundance of merchandise, some new, some old.